A new book has just been published on the founding of the Township of the Archipelago. 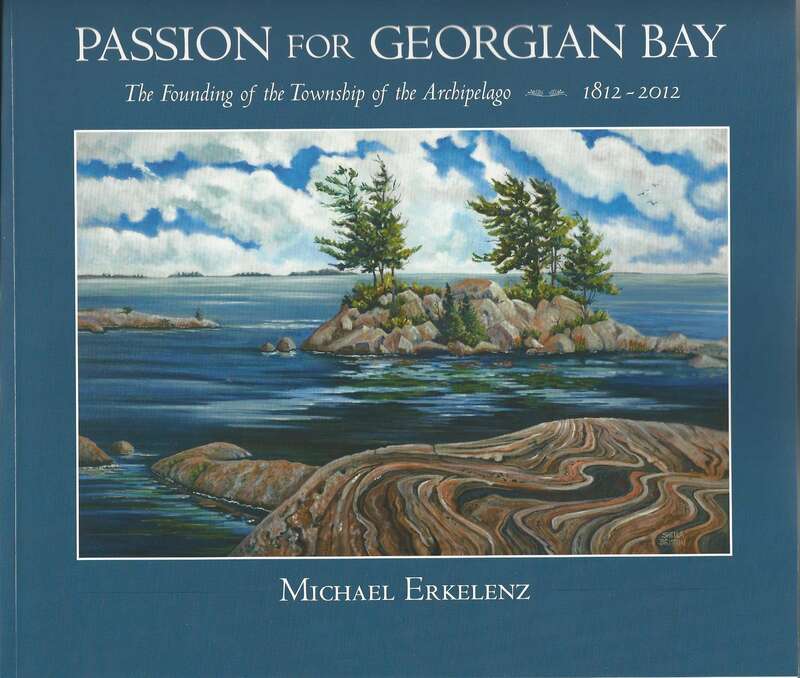 Passion for Georgian Bay chronicles the efforts of a group of ordinary citizens to establish a new township in the District of Parry Sound during the latter decades of the twentieth century. The Georgian Bay Association, led by Tony Ormsby and then Wally King, provided the leadership for this significant accomplishment, with help from Gary French and Tom Martin. Professionally written and containing detailed maps and other interesting documentation, this full colour publication of over 200 pages with some lovely Bay photo’s is an important addition to your Georgian Bay library. Taxpayers in the Archipelago have been sent a ticket redeemable for a book at no charge upon presentation of the ticket at either the Stockey Centre in Parry Sound or Desmadons Boatworks in Pointe au Baril. Additional copies can be purchased at these locations for $30 plus tax. The books are available for sale through the Georgian Bay Land Trust, at Desmasdons Boatworks in Pointe au Baril, and the Stockey Centre in Parry Sound for $30 plus HST and on line through the bookstore the Nautical Mind in Toronto at nauticalmind.com for the same $30 plus HST and postage if ordered on line. Residents of the Archipelago, who still have the coupon which was mailed to them with their last tax bill, may turn their coupon in at all three locations for a book at no charge. The September 30 deadline has been extended until further notice. The Nautical Mind will redeem coupons in person but will only mail books purchased through them.